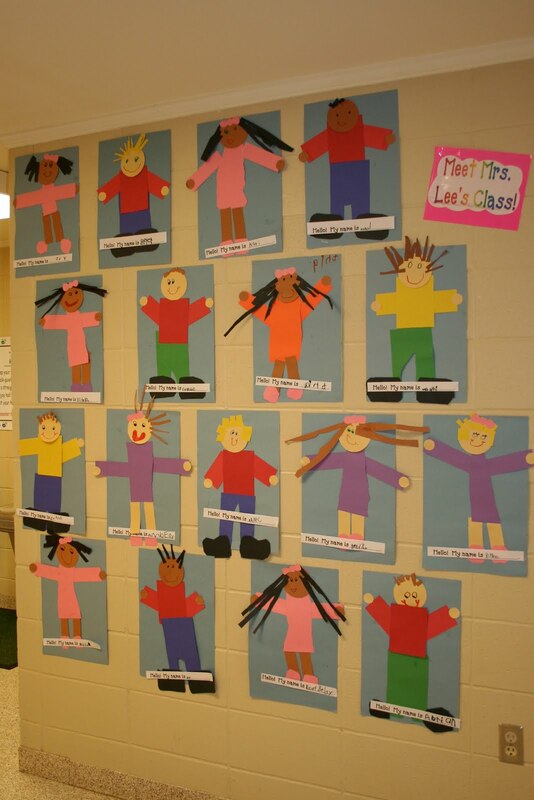 Mrs. Lee's Kindergarten: All About Me! 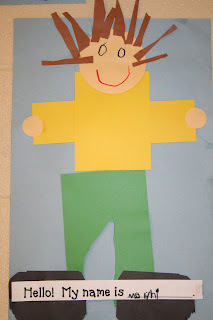 This week our theme unit was "All About Me". We learned how special and unique each one of us are. We read lots of stories. Some were silly, some were fact books, and some were about different feelings we may have. Our favorite story was "Clap Your Hands" because it was an interactive book. Over the course of the week we created graphs. We talked about how graphs give us information about things or people and they are easy to read. I asked the kids which was their favorite and I think the majority liked the eye pie graph. 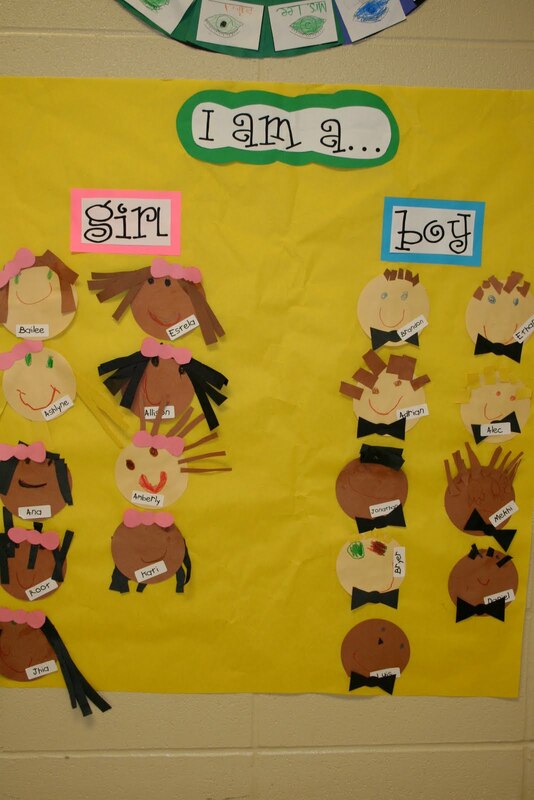 We graphed our eye color, the number of letters in our names, our hair color, and if we are a boy or girl. These graphs were meaningful to us because we learned things about the boys and girls in our classroom. 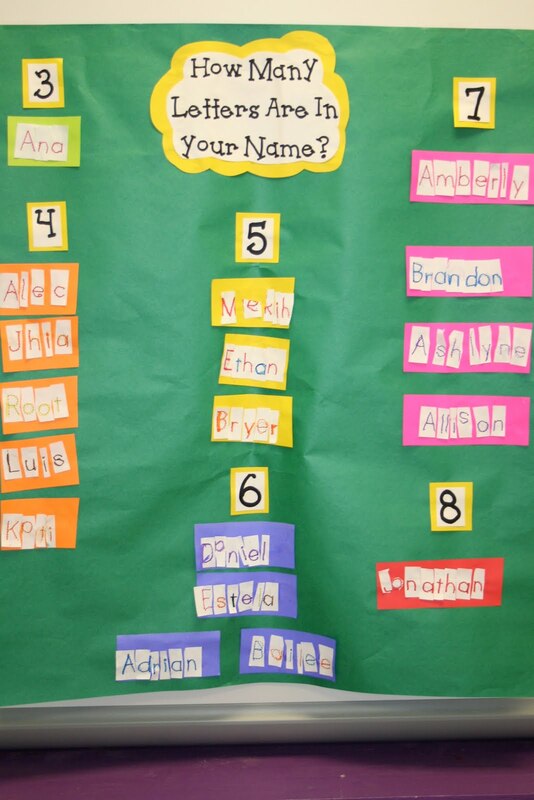 Creating graphs was also a new math skill this week. 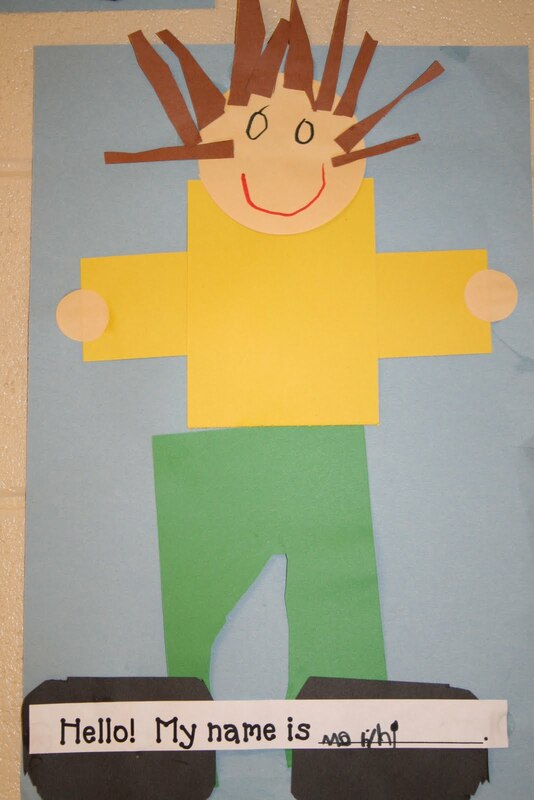 During our "All About Me" unit we made these cute little people. We used the first letter in our name and had to think of something that had the same beginning sound as our own name. 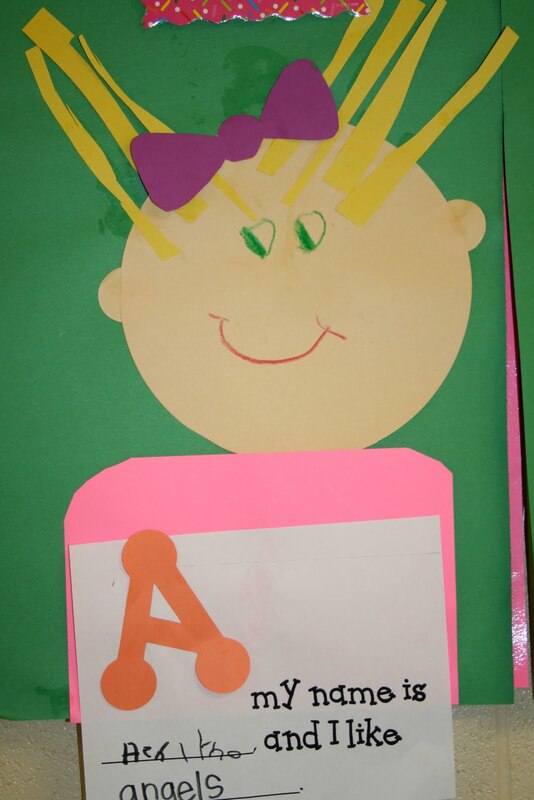 This activity spins off the book, "A My Name is Alice". We also made TLC style boys and girls. I love this activity. They always turn out so cute. The neat thing about TLC is that everyone gets the same directions, but they all turn out a little different. (See pictures below) Enjoy! 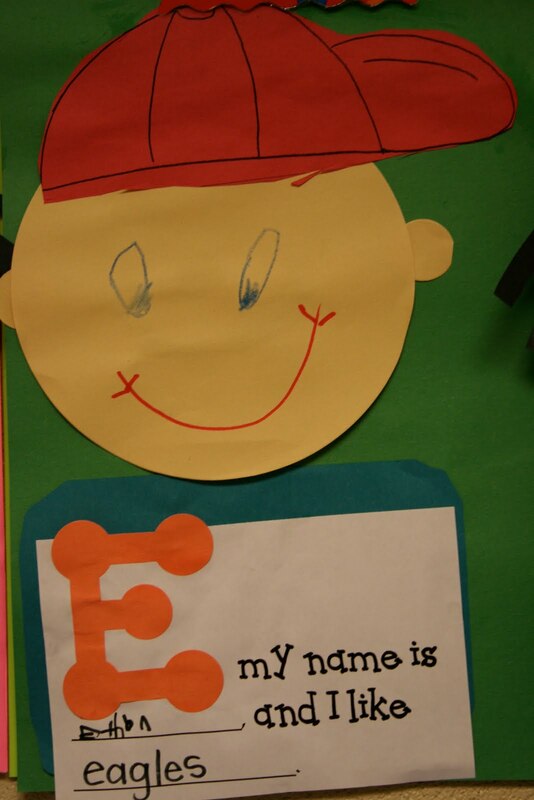 I'm glad your kids like the eye pie graph. It's my favorite, too! Suzan, I love it too! Thanks for sharing your GREAT ideas with me. Lots of my "ME" stuff is "yours". Love the pictures. I am wondering where did you get the face template. 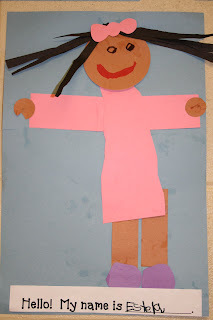 Did the kids cut out the clothes or did you have it precut? 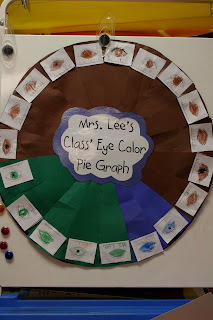 We made the pie graph today. It worked brilliantly. Thank you for sharing. I love these! 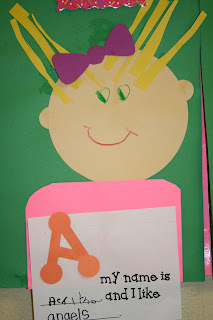 Going to add these to my file of All About Me activities! Cute ideas! 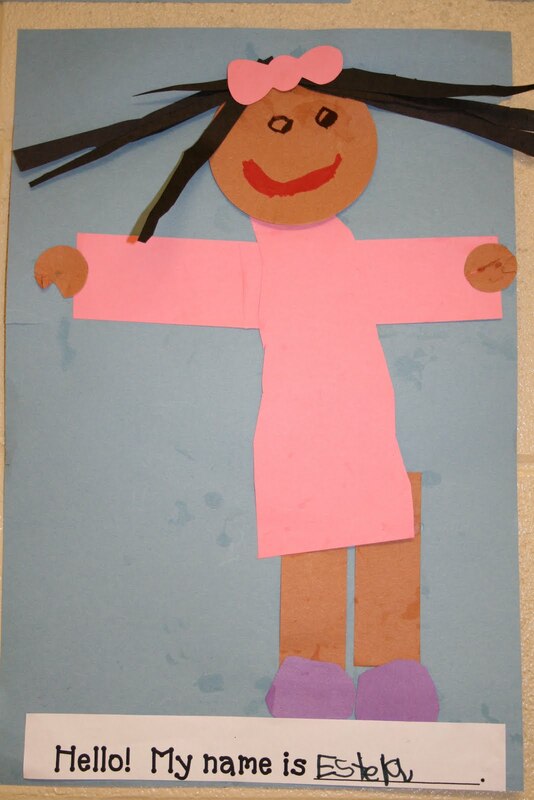 But all my students have brown or black hair and brown eyes! So no eye graph for me. Do you have directions for the TLC? Which Clap your Hands book did you use? I am going to use these ideas for my All About Me unit. Thanks for sharing. hile access is a key part of monitoring envisaged cuts on Tehran's present nuclear activities, it is also important for the IAEA as it tries to kick-start nearly a decade of stalled attempts to probe allegations that Iran worked on nuclear arms. Washington says that Iran must cooperate with the IAEA's probe as part of any overall deal before all sanctions on it are lifted. DramaFans.Net - Situs Download Mp3 Kpop dan Video Terbaru dan Juga ShareDrama.Com Situs Download Video Drama Asia, Lagu Kpop & Drama Korea Subtitle Indonesia , Blog Download Drama Korea Hardsub Indonesia Mp4. DramaFans.Net - Situs Download Mp3 Kpop dan Video Terbaru dan Juga ShareDrama.Com Situs Download Video Drama Asia, Lagu Kpop & Drama Korea Subtitle Indonesia , Blog Download Drama Korea Hardsub Indonesia, Personal Blog.